Well the 1967 AFL/NFL replay is coming to a close with the Green Bay Packers and Oakland Raiders each winning their League Championships to face each other in Super Bowl II. This is the first season replay that I’ve completed were the Super Bowl participants were identical to real life. I will replay this game on Saturday, August 16th. Since I will be providing a “Play-by-Play” account of the game, I wanted to dedicate an entire day to it instead of breaking it up into multiple evenings. I make a conscious effort to represent the players and attitudes of the era accurately and responsibly during my replays. 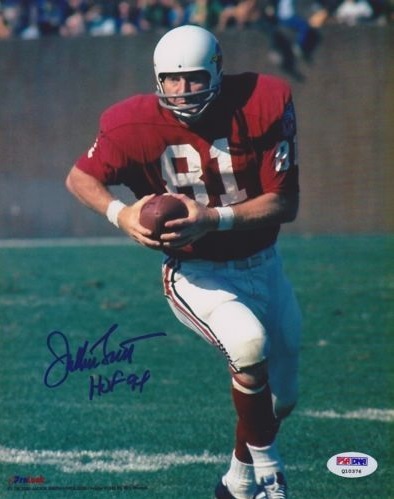 With that said, “NFL superiority” was an overwhelming attitude especially during the 1967 season. I normally do not share private messages but it’s a prime example of the attitude I was referencing. I hope that Mr. Vernon Kelly forgives me for betraying his confidence from our February 20th conversation. Greg, Hello my name is Vernon Kelley. A skype APBA football friend , Jerry Zyjack, and I are presently playing an expanded playoff tournament (wildcard teams) with the 67 Zarb season. As you realize the AFL teams are rated quite high (Oakland 44/44 or somewhere close I don’t have the roster sheet in front of me). We were wondering if, when you reach the Super Bowl in your replay, you are planning to make any adjustments to the AFL teams off/def totals? Assuming the Packers played the Raiders we felt the Pack would be an underdog based on the team totals. Any suggestions would be appreciated. It’s funny, because if you go to my site, you can read the recap of Super II that I played several years ago and the Raiders did win by a point…I don’t see anyone beating the Raiders in the AFL in my replay unless it’s the Jets with very hot dice…I don’t believe the Packers will win the NFL in my replay, it will most likely be either Baltimore or Los Angeles. But to answer your question, I will not make any changes to the team indexes. I grade each set that I use and wouldn’t want to skew my data. I understand your concern regarding NFL superiority; however, the AFL was closing that gap by 67, not quite equal but very close. Mark is a very close personal friend of mine and we have talked about this very subject before over dinner. His philosophy was league based, meaning he wasn’t concerned about comparing the two leagues but carding them only with regard to either the AFL or the NFL. With that said, the Raiders were 13-1 that year and quite possibly the best team ever to play in the AFL. Over the past few months, Mark and I have discussed this very subject at great length. Realizing that I would not be able to use any innovations in the Super Bowl because they were league specific and to address the “NFL Superiority” issue, Mark decided to combine the two leagues and re-calculate team ratings and innovations. This is a very time-consuming task especially for ONE game!!! I’m very grateful to him for doing this for the replay. Hopefully, you’re looking forward to reading the “Play-by-Play” account as much as I’m looking forward to providing it. Thanks for following along!!! 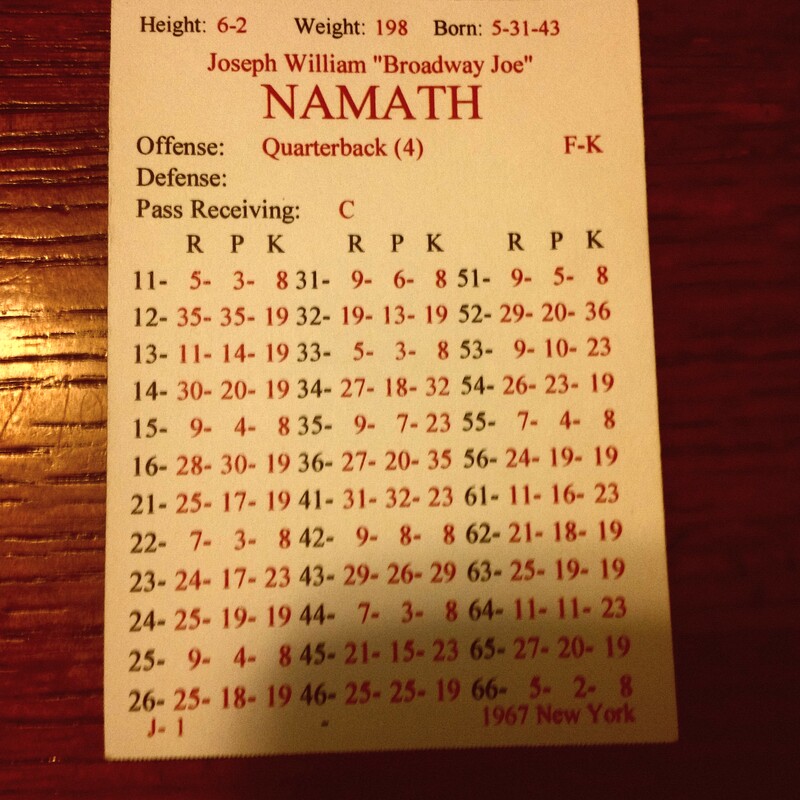 Broadway Joe Willie Namath was the first and only player in NFL history to pass for 4,000 yards in a 14-game season. The top line is his statistics from my replay and the bottom line is his actual statistics from the 1967 season. I usually don’t like when a card over performs but this is my childhood idol and I couldn’t be happier. Danny Abramowicz caught 8 passes for 174 yards resulting in 35.8 yards per catch average against Washington’s 8th ranked secondary. 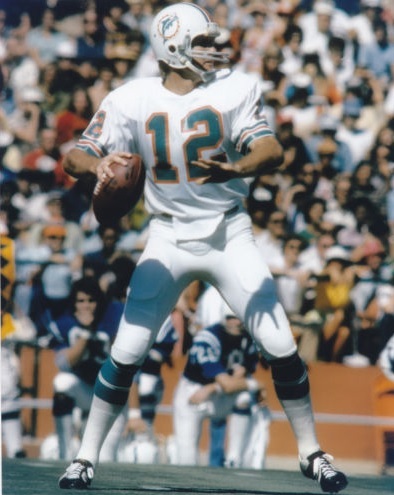 Bob Griese was 26 of 35 for 314 yards with 4 TDs resulting in a QB rating of 135.9 against the Boston Patriots. With the end of the 1967 AFL/NFL replay fast approaching, I wanted to take a second to discuss the playoff picture. At that time, seeding didn’t exist and home field was based on an annual rotation for both leagues. For the 1967 NFL season, the Capitol and Central divisions had the home field. The Eastern Conference divisional winners from the Capitol and Century divisions will play each other: New York Giants @ Dallas Cowboys. The Western Conference divisional winners from the Coastal and Central divisions will play each other: Baltimore/Los Angeles @ Green Bay Packers. In the AFL, the Western division champ will have the home field. In the AFL, there were no tie breakers. A prime example is the following season (1968), the Chiefs and Raiders played a tie breaker game because they had identical records. The New York Jets have clinched the Eastern division crown. The Western division still has not been decided, however, if Oakland wins or ties their final regular season game against Buffalo they will be declared division champions. If they lose, Kansas City Chiefs will have the better winning percentage and be declared division champions. 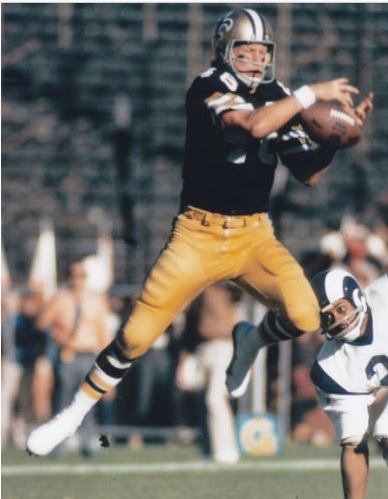 Who do you think will represent each league in Super Bowl II? Jackie Smith caught 7 passes for 125 yards and 2 TDs against Cleveland. 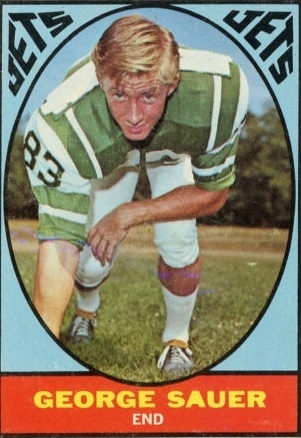 George Sauer torched Kansas City’s secondary with 11 receptions for 179 yards and 1 TD.